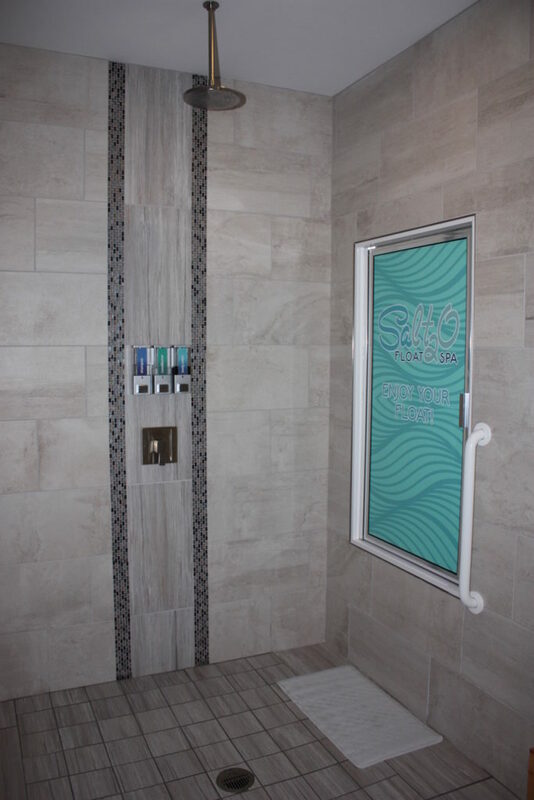 We are so excited to share these pictures of Salt₂O Float Spa with you! 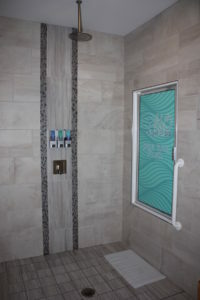 From specifying the flooring, tile, cabinets, countertops, and paint to helping with the waiting area furniture, our goal was to create a tranquil atmosphere that was also warm and inviting during our cold winter months. It has been amazing seeing this project go from conception to completion! Here's a sneak peek of what a "float room" looks like! Behind the door with the decal is the float cabin. We didn't want to show you everything so you can check out the float cabin for yourself when you enjoy your float!